Watch out, the Kiwis are on the charge for the 2018 ISPS Handa New Zealand Open. The 14 year drought since a New Zealander has won the Brodie Breeze Trophy was broken by Michael Hendry this year, when he prevailed in a three-way playoff to celebrate a Kiwi victory in our own national Open Championship. While an increasing number of high quality international players from USA, Australia and Asia have provided plenty of eye-catching headlines for golf fans at the ISPS Handa New Zealand Open, many hope that Hendry may have started a sea-change. Hendry is fully intending to return to defend his title at Millbrook Resort and The Hills in Queenstown on 1-4 March 2018. He has enjoyed another stellar year on the Japan Tour, with seven top-10s this year, and earnings nearly NZ$700,000 in Japan alone, along with qualifying to play in the British Open and the World Golf Championship. Also hoping to play is Kiwi golfing Olympian Ryan Fox, who was tied for sixth in 2017, and is currently in the top 35 players in a brilliant rookie year on the European Tour, with earnings of around NZ$1.7 million. He enjoyed five top-10 finishes on the European Tour including a golden run over three successive weeks when he was sixth in the French Open and tied for fourth in both the Irish and Scottish Opens. Fox too qualified for the British Open and World Golf championship. The pair is climbing the world rankings with Fox at 120 at the time of writing and Hendry at 125. They are going to be joined this year by two US-based PGA Tour players in Tim Wilkinson and Steven Alker. Wilkinson will compete for the first time in Queenstown and his first time at the ISPS Handa New Zealand Open for a decade. “I am excited to be able to play in New Zealand. For around 10 years of my golfing prime I’ve not been able to because of my schedule,” said Wilkinson. 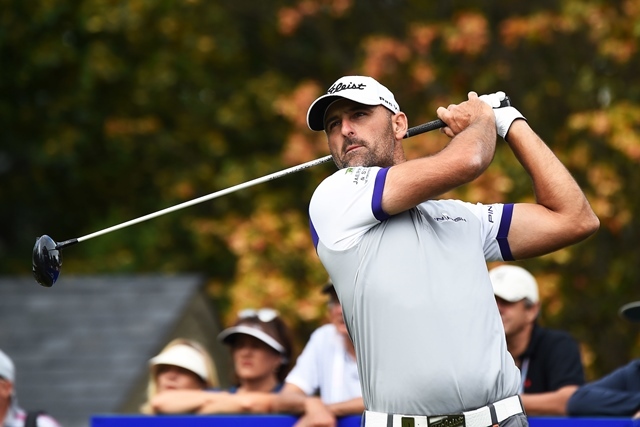 The 39 year old has earned nearly NZ$7 million in career earnings on the US PGA Tours, and despite missing out on retaining his full playing rights for 2018, he still earned close to NZ$ 1million this year. “Obviously I am disappointed not to be playing the PGA Tour in 2018 but I still feel some of my best golf is ahead of me,” said Wilkinson. Wilkinson has played in the New Zealand Open five times, finishing T17 at Paraparaumu as a amateur in 2002, and after missing the cut for the next three years as a professional, he was tied for 12th at Gulf Harbour in 2006. He is not returning home to make up the numbers, and despite not playing in Queenstown before, believes he will be competitive. He also enjoys the tournament format with amateur playing alongside professionals. “I play quite well in this format and I enjoy getting to know people from different walks of life. You just have to chill out and enjoy a more relaxed approach,” said Wilkinson, who has enjoyed three top-10 finishes in the AT&T Championship at Pebble Beach, on which the Queenstown event is based. Alker, on the other hand, is well versed with the Queenstown courses of Millbrook Resort and The Hills, finishing in a share of sixth place in 2016. The Arizona-based player will compete on the Web.com tour in 2018, but loves to return home for the ISPS Handa New Zealand Open. “I have played twice with this format. It is more laid back and for some reason I play well in them. It helps me slow down and get into a bit of a rhythm. You just enjoy the walk a bit more. The location also helps. Queenstown is magnificent. So this Kiwi quartet will lead the way in the chase to make it back-to-back Kiwi victories, a feat that has not happened since David Smail in 2001who followed up on Michael Campbell’s victory in 2000. ISPS Handa New Zealand Open, March 1-4, 2018, Millbrook Resort and The Hills.